Description: Hamburg is a familiar and award-winning voice in New York radio, best known for her years spent as host of “The Joan Hamburg Show” which was widely considered to be “The Today Show” of radio. 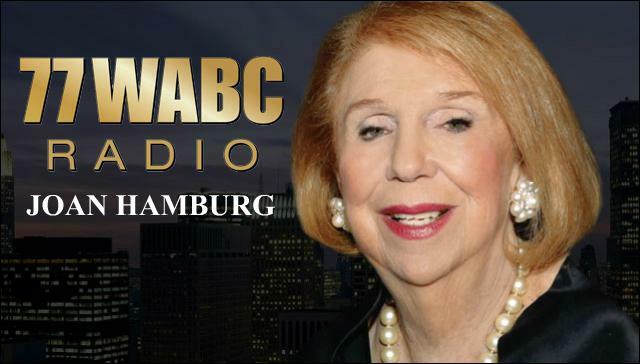 At 77 WABC, Hamburg will continue discussing the most important social, economic and political issues that impact listeners’ lives each week. Hamburg will also interview major celebrities and powerful political figures on the program. Hamburg will also produce weekly features and exclusive programs available in digital formats. 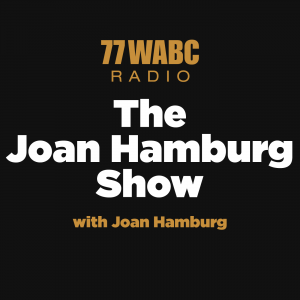 In addition, shows pre-empted by play by play will be presented on the 77 WABC stream and within other 77 WABC digital products, a first for the Joan Hamburg Show. “How excited I am to join legendary WABC radio and work with Kim Bryant, Craig Schwalb and the rest of the Cumulus family. And what a treat to join their roster of the best talk talent in the country. New York get ready — the conversation is about to begin,” Hamburg said. Known as New York’s “First Lady of Radio,” Hamburg was inducted into the New York State Broadcasters’ Hall of Fame in 2012 and has been named “New Yorker of the Year” by the Manhattan Chamber of Commerce due to her dedication in improving the quality of lives for those throughout the New York metropolitan area. In addition to numerous other awards, Hamburg is an accomplished author and columnist. President of Eleanor's Legacy Brette McSweeney and Co-founder Executive Women for Hillary Sherrye Henry join Joan to discuss the the Women's March on NYC. Joan sits down with Ben Brantley, Michele Heilbrun, Tim Newman, Gideon Glick and Rebecca Naomi Jones, Jennifer Nadel, and Kristen Tomlan. Co-owner of the Rao’s restaurant franchise and the co-author of "Rao’s Classics" Frank Pellegrino Jr. stopped by to talk about the new cookbook with his father Frank Pellegrino Sr. and the legend of "Rao's"!! !